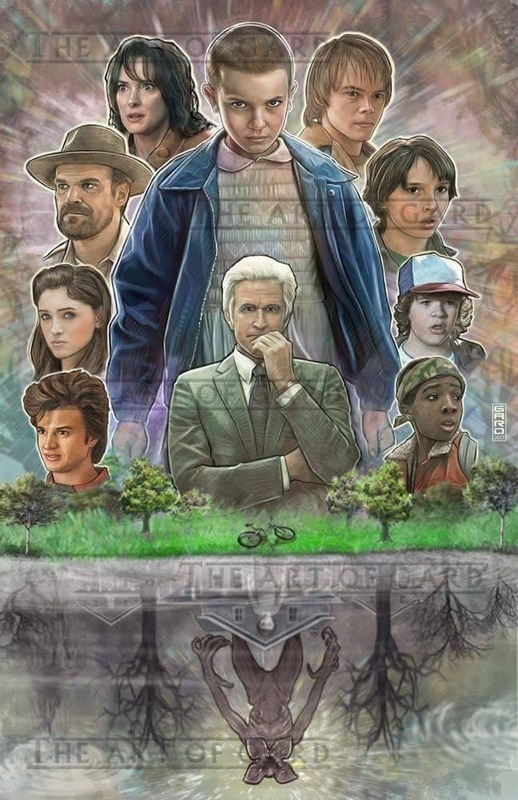 This print is a collage of the popular show Stranger Things. 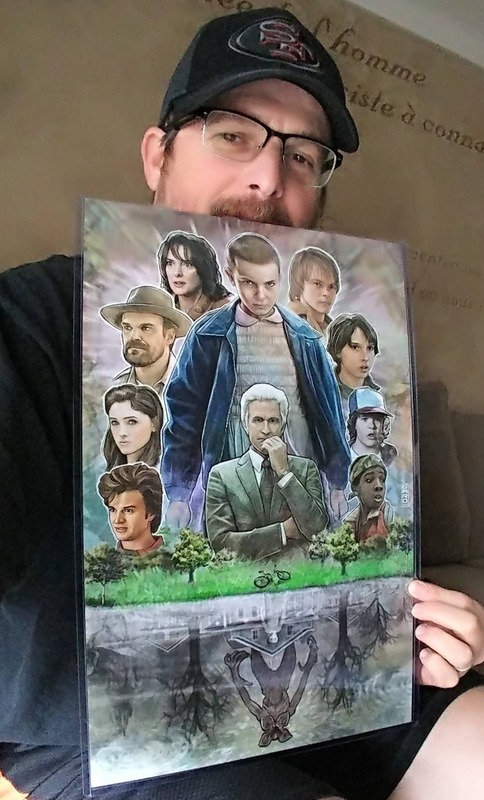 I sign the print and will also be shipped with a backing board and clear bag. 18X24 size will be shipped in a mailing tube.